Sacramento Divorce Attorney Edward Misleh is a lawyer located in Sacramento, California and who works for The Law Offices of Edward Misleh, APC. Mr. Misleh practice focuses on divorce and personal injury matters. In his endeavor to serve the public in general, he provides affordable access to the legal system by offering a free consultation to all new or potential clients. It is a free consultation and there is absolutely no charge should you wish to discuss your legal matter with a licensed California attorney. Family law: Obtaining or terminating guardianship, conservatorship, adoption, and juvenile proceedings. When your matter requires significant legal involvement, it often makes sense to hire an attorney. But hiring a lawyer is not necessary for all legal matters, which is why you should first take advantage of the free consultation offered by Sacramento divorce Attorney Edward Misleh. Additionally, located on our website are many court forms, with instructions, which you can download should you want to pursue your matter on your own. Sacramento Divorce Attorney Edward Misleh’s office is located at 615 Tenth Street, Sacramento, California. The office represents clients who live or work in Sacramento, California, Northern California, and throughout the United States. 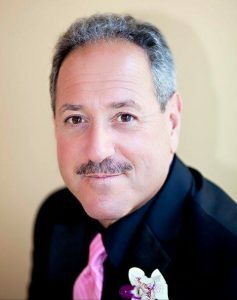 Sacramento Divorce Attorney Edward Misleh has extensive experience in the areas of family law and personal injury. Sacramento Divorce Attorney Edward Misleh has extensive experience in handling divorce cases and issues. You can file for divorce in California which will be more properly known as a dissolution of marriage. A dissolution of marriage terminates the legal relationship you have with your spouse – it terminates the marital union. Termination includes the ending of all legal duties and responsibilities that are created by marriage. You need to consider the effects of filing for divorce and for filing as either a petitioner or as respondent. If you are the petitioner, you will initiate the divorce proceeding. If you are the respondent, you will wait to respond to your spouse’s filing for divorce. There are advantages and disadvantages to both which you should understand before filing for divorce.